What makes the iPhones all over the world different from each other are the accessories the owners put them with. Everyone agrees that a useful and stylish iPhone case can completely change the smartphone experience. So if you still happen to underestimate the importance of a convenient iPhone case, the Gribit will definitely make you change your mind with the handling comfort it provides in any imaginable situation! 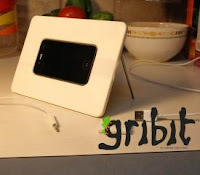 The Gribit is a perfect solution for people who use their iPhone 4/4S for reading eBooks or to display reference material for long periods of time. With dual spring loaded ball plungers resting in grooves at the bottom of the phone the Gribit not only holds the iPhone nicely, but also securely in place without compromising any of its functions. The Gribit also comes with convenient inserts which fit around the headphone and the power connector to make them easy to plug in or take out even with the phone installed. The releasing process is easy, available with just a press of a hand. At the back you’ll find an integrated kickstand feature that takes the iPhone to places never intended before, along with a allowing the phone to be placed in both - a landscape or a portrait mode. The Gribit is just 5.3 inches wide, and measures 7.5 inches long and 0.5 inches high. Although it may seem counterintuitive to some extent to make a great piece of technology like the iPhone larger that is exactly what the Gribit will do. If you use your Smartphone for longer tasks such as reading then you've definitely got to try one! The case is quite light to travel with, and perfectly almost every environment you’d probably think of. 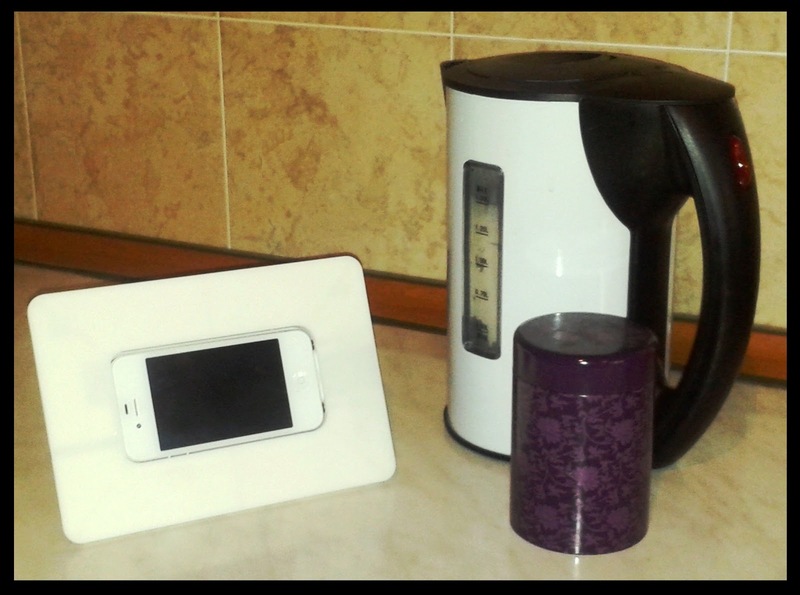 • Ability to use Gribit as the holder/stand – for example when you use your iPhone 4/4S as an alarm clock and have an app that displays a large clock. 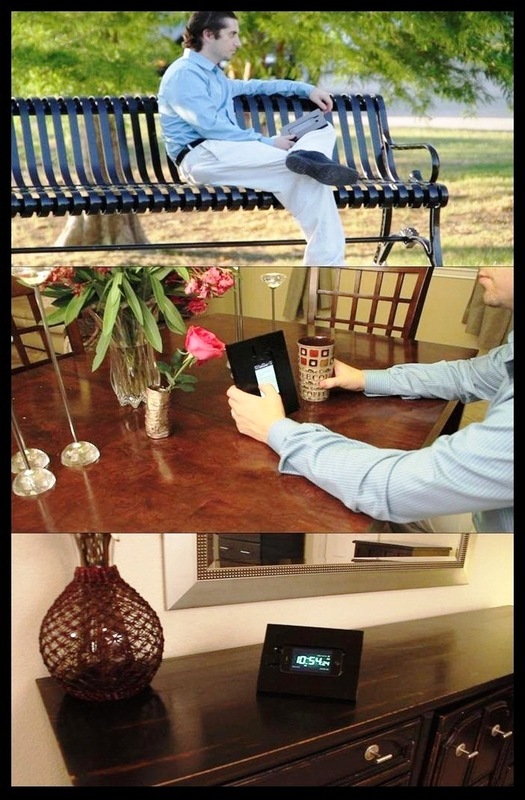 The Gribit will make your smartphone look attractive sitting on a stand next to your bed. Despite the advantages listed above, we’ve found some minor glitches that you may find annoying. The Gribit works for only the bare iPhone 4/4S, or with slim/ ultra-slim cases so you may need to remove the case before using it or switch to an ultra slim case. The Gribit makers plan to develop future products suitable for other smartphones and phone/case combinations and already have several prototypes along these lines. Another minor disadvantage is the inconvenience when someone calls while using the Gribit – you’ll either have to hold the case with one hand which is not fairly convenient, or will need to first release the phone to answer the call. However, the ease of release and the ability to insert headphones provide the full solution of this “discomfort”. Finally, we would have liked to see different “finishing” options to include leather or sued to choose from other than the three colors offered. So you’ve probably been persuaded to get your hands on Gribit as soon as possible… But to be able to get one, you have to note that yet there is just a pre-production model available. The Gribit is yet running as an Indiegogo project to raise the initial investment needed to create metal injection molds and ability to produce the Gribit at production quantities along with launching an initial low-budget follow-on marketing campaign. So if you’re actually impressed, you’re able to donate the desired sum to the Gribit account and help the production process start as early as possible! Once the project is successful, you will be able to choose between black, pearl-white and pink Gribit cases and take the state of the art back to a common time with your piece of Gribit! So contribute via any of your preferred payment methods now!